Movies and popcorn? Nothing can be better that these two combined for a great movie experience. 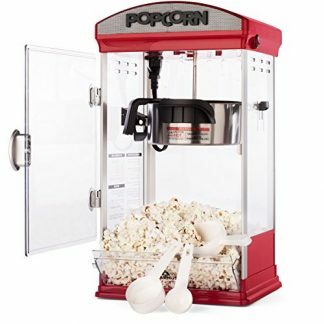 So treat a movie lover with this popcorn and popcorn popper set that’s great for indoor movie watching enjoyed with family and friends. It’s a complete set to guarantee a completely great movie watching experience, sans the humongous cinema screen. Popcorn and movies is a timeless tandem. One is nothing without the other, much like your favorite movie tandems. This original popcorn gift set from Whirley Pop is a perfect gift choice to any other movie lover you know, or if you are looking for a great way to up the game in your movie bingeing nights, you can gift it to yourself. Now you don’t need to go over to your favorite movie theater to get some theater popcorns. You can have delicious popcorn with the perfect seasoning in just three minutes, all in the comfort of your home! 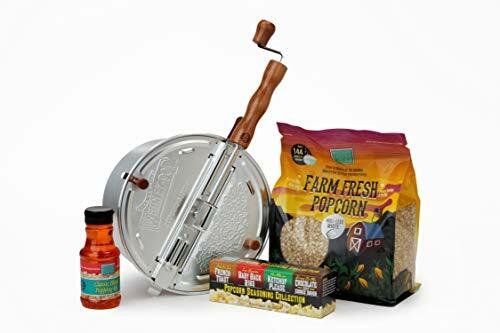 The Whirley Pop Stove Top Popcorn Popper has a patented stirring system that allows the kernels to be moved until it pops at just the right heat and time. Plus, cleaning up is just as easy. The popper comes with an aluminum pan and a lid with quick release clips that allows you to just wipe up the insides with a paper towel, and it is good to go for its next use. The gift set includes a stove top popcorn popper, the Whirley Pop Classic Blend Popping Oil, a pack of Farm Fresh Hull-less White Popcorn from Wabash Valley Farms, and four fun and unique On the Edge 2 ounce seasoning jars including: Yes Ma’am Ketchup Please, Ohh La La French Toast, Dough Ra Me Chocolate Chip Cookie Dough and Lip Smackin’ Baby Back Ribs. 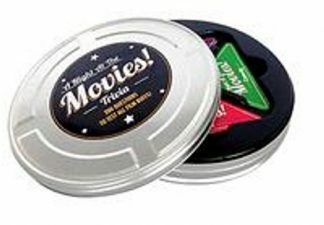 This gift set is not only great for movie nights. With a popper on hand, having popcorn for parties, housewarmings, or even just for snacks, has never been more convenient. This is a perfect gift set to anyone who loves popcorn and movies. And there is nobody who doesn’t love popcorn and movies.